Karen Poling brings compassion, diligence, and a wealth of diverse experience to your corner. Her thorough knowledge of legal process and her unwavering attention to every detail of your situation means that you can rely on Karen to advise, lead, and achieve resolution with extreme professionalism and competence. Homegrown values and a bone-deep dedication to justice lie at the core of Karen’s tenacity and “tough-when-it-counts” philosophy. Born in North Tonawanda, New York, she moved with her family to Columbus in 1979 where she attended St. Michael’s School in Worthington and Bishop Watterson High School. Karen graduated from Georgetown University in Washington, D.C. with a B.S.B.A. in finance and international management and worked for a Washington D.C. commercial mortgage banking firm prior to attending law school. 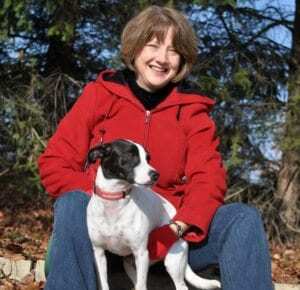 Returning home to Central Ohio, Karen graduated from The Ohio State University College of Law. She was a managing editor for the Ohio State Law Journal before becoming a staff attorney to Judge Thomas O’Grady of the Court of Appeals for the Second District. In 2000, Karen started private practice in Dublin, Ohio. In August of 2006, Karen joined with Dianne Einstein in a practice focused on the areas of domestic and employment law. December of 2012 brought Karen home to Hilliard with the opening of her private practice in a lovingly restored building on Cemetery Road. 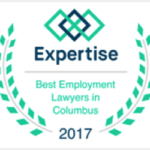 Karen is a member of the Ohio State Bar Association, the Columbus Bar Association, Women Lawyers of Franklin County, The National Association for Women Business Owners, Chief Justice Thomas J. Moyer Inn of Court, and Hilliard Chamber of Commerce. Karen is married and has two children.